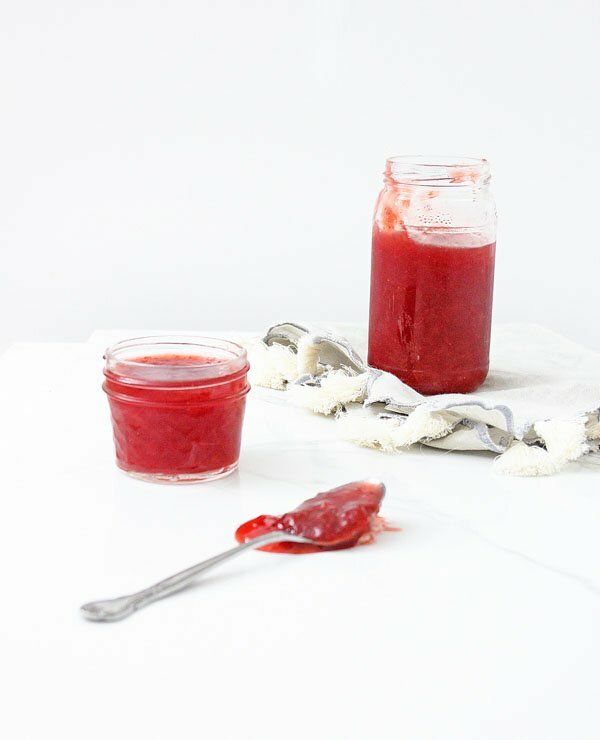 Instant Pot Strawberry Jelly - Super Easy and Quick! Need to use up those strawberries?? 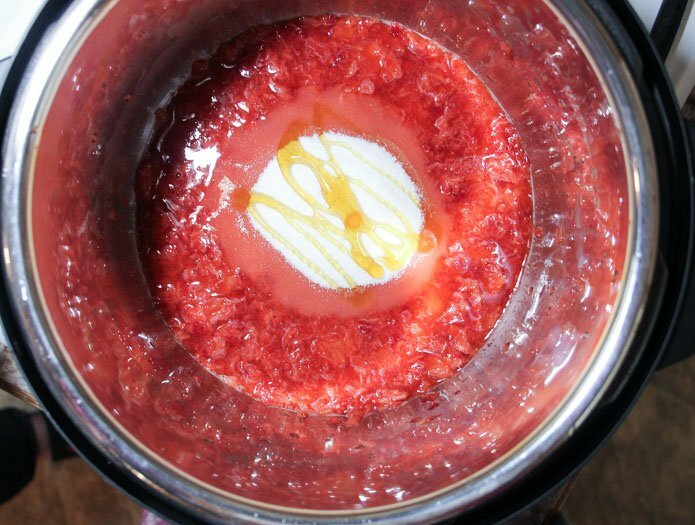 Make this Instant Pot Strawberry Jelly you can enjoy so many ways! 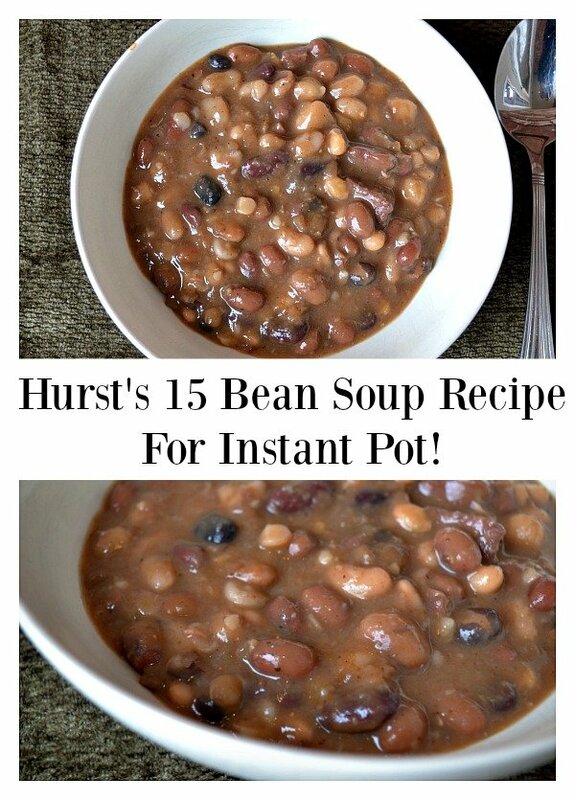 I am SO excited about this recipe, for several reasons. First, I am starting a vegetable garden right now so there will be plenty of strawberries coming up later this year! We are just starting out so you can read my gardening posts here. We also see a lot of produce deals in stores this time of year so there are those times I am shopping while hungry and end up with so much yummy produce in the fridge! Strawberries don’t stay fresh long so then I end up trying to use them up. lol! I just used store-bought strawberries for this recipe, of course. They are coming into season in the warmer climates so you can find some nice ones this time of year! Use fresh sliced strawberries, not frozen, for this recipe. 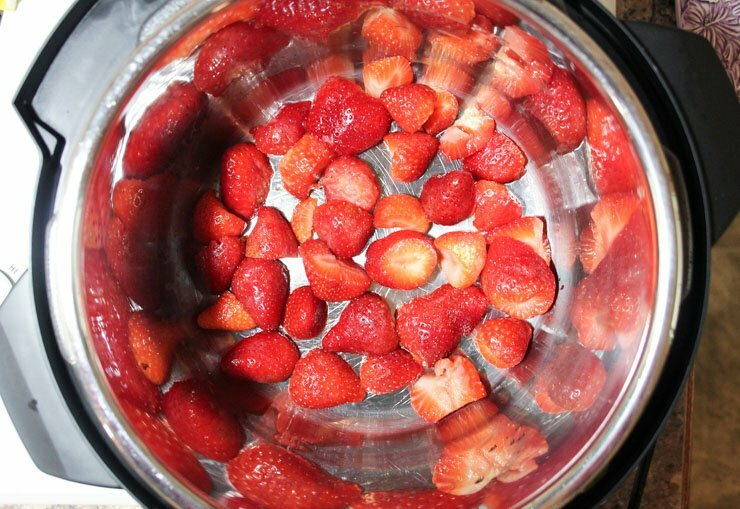 After the strawberries, sugar, honey and lemon juice are in the Instant Pot, let the mixture sit for about 30 minutes. 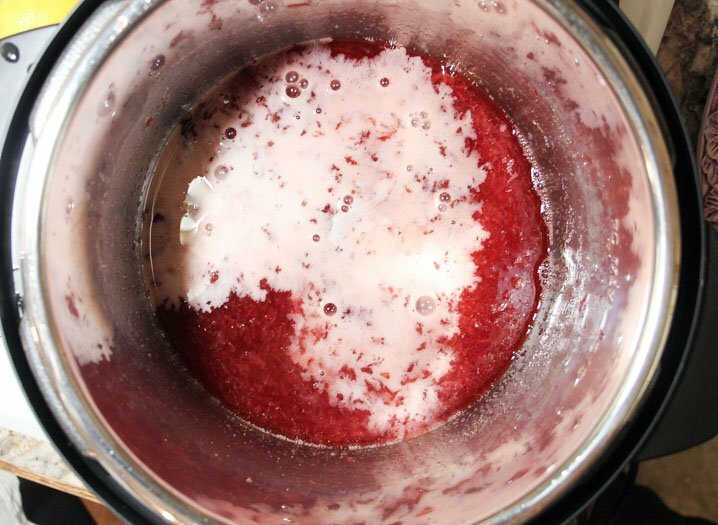 The sugar and lemon juice draw moisture out of the berries, which will allow for a much better end product. 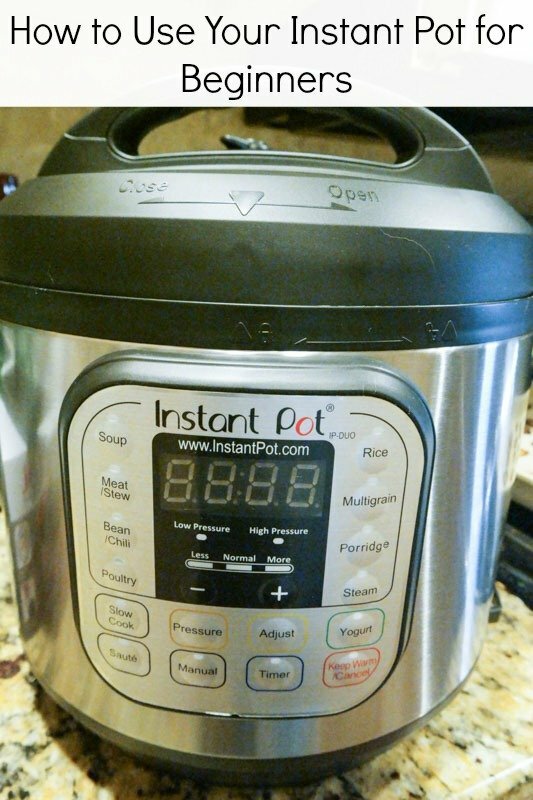 Seal the Instant Pot and set for 1 minute. That’s all the cooking time it needs, but of course the warming time adds about 8-10 minutes. After it’s done, manually release pressure and open, and stir. Jelly is still runny at this point and that’s OK! The final step is to mix and turn on the Saute button. Stay right with the jelly, stirring constantly to prevent scorching. It will start to thicken up quickly, at which point you can turn off the Saute feature and let the Instant Pot start to cool down. Keep stirring until cooled. 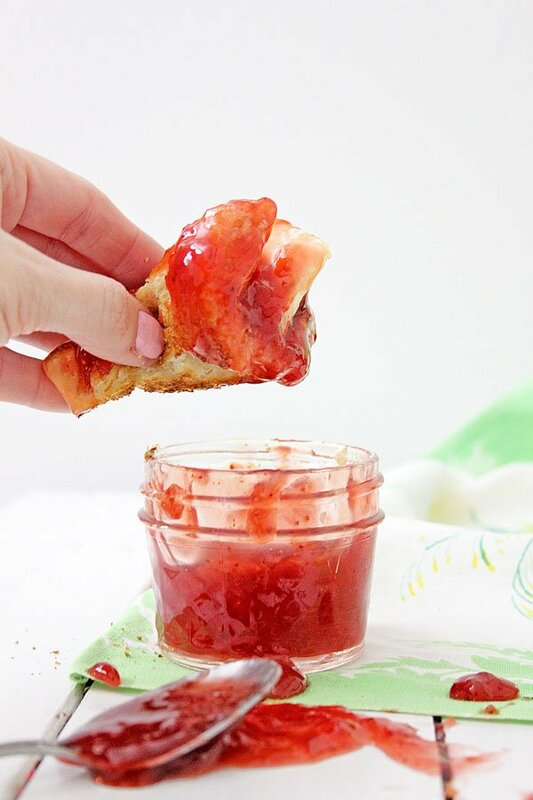 Add cooled jelly to your favorite containers. Cool on counter top and then refrigerate immediately, for up to three weeks. You can freeze jelly at any point before three weeks. This recipe makes approximately 1 qt of jelly. If you aren’t sure you will use the entire batch, an easy way to freeze is by using Ball Freezer Containers. 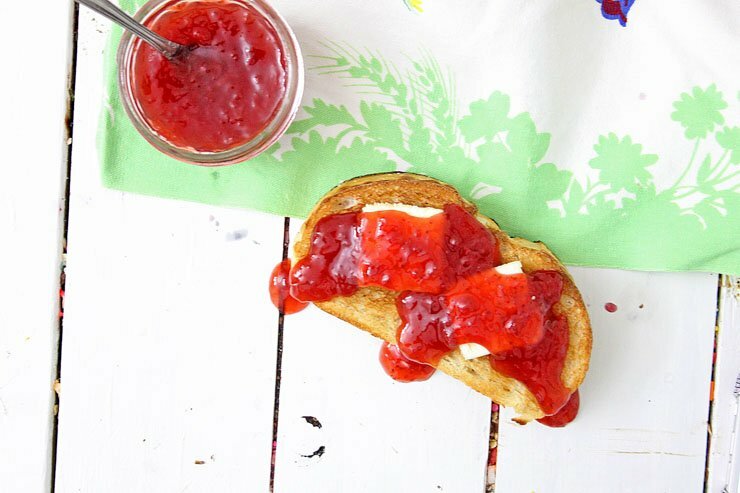 As a bonus, the strawberry jelly is ready to go for recipes like French Toast! Just thaw and serve. This is a great way to make home made jelly. You don't have all the fuss of sterilizing jars, or making sure they seal, etc. You simply use 4 ingredients and the Instant Pot, and you're done in no time. This one will definitely go in the favorites category! Mash them with a Potato masher until all chunks have been smashed. Stir the mixture, and close the lid on the Instant Pot until it beeps and locks. Make sure the pressure valve is on 'VENTING' and press the Manual button, and set the time for 1 minute. Manually Release Pressure after cooking is done. In separate bowl, Mix the corn starch with the water until completely blended, and pour into the Jelly and stir. 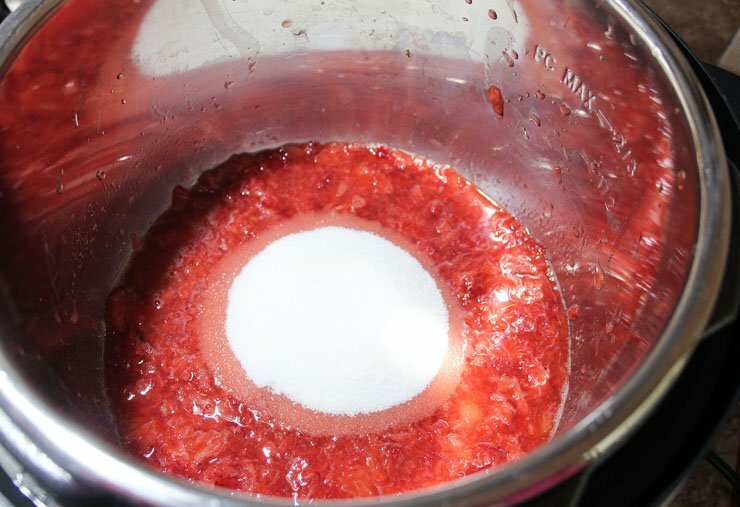 Turn the Instant Pot to 'SAUTE' and boil the Jelly, stirring constantly. When the Jelly begins to boil, turn off the Instant Pot, and continue to stir until Jelly begins to thicken.